Kotomi showed me around the school to all the stalls and exhibitions. They include a ghost house, cultures from around the world, science-related activities, food like crepe, chocolate-coated banana, milkshake, and of course, ice-cream. She said that performances and bands would take place there throughout the whole day. Oh yes, this reminds me about the time we spent there last year: I purposely chose the role of promoting my class so that I could sneak off to go out with her. When we walked along the corridor, there were whispers around us. 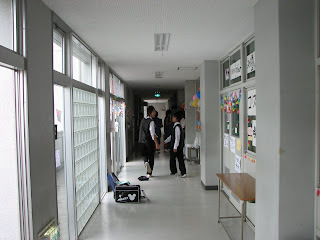 This time however, they were about what I was doing there and why I keep visiting the school more frequently lately. As we walked past her class (which seems to be decorated for either a play or movie screening), she asked me what I would be doing for the festival at my current school as she could drop by to see me. Normally, for her to say something like this would make my heart skip a beat and feel shy, but that feeling didn't happen this time for some reason. Maybe it's because I am now the same gender as her... Anyway, I told her that I play the violin with the music club at the open-air stage. Since there are a lot of members, and are from all the school department (including alumni and staff), it would be quite easy to spot. Looks like we are getting along better. Later that day, I bought some medicine from the convince store before heading home. I had a hard time deciding between whether I should just buy what I need now, and whatever I could need in the future. The latter option would cost a lot of money and some could be wasted if not used by a certain time, but helpful in times of emergency or saving time and cost getting back here. It's hard to believe that I am currently lying in bed, barely able to move out of bed, while controlling and having the view of my clone. Today, 12 September (Monday) is the day of the event. I am very much looking forward for this day, but, sadly, I can't leave the house when I am still this sick. Well, not really. I can still go out via my clone and nobody will be able to tell that apart from me, unless they had seen the both of me, including back when my mind for both were separate. I dragged my sick body to the dining table for breakfast (I can barely move it) while I got ready with the other. Despite me doing the dragging, I can tell how heavy it is and, at the same time, I can feel being pulled roughly from behind. What am I doing to myself? I had breakfast and had some medicine later on, but not without trouble swallowing. Should I bring along that sick body along? I can use it to help other people when I'm performing, which can last for quite a while. Undecided, I stuffed myself into my other body (I had explained how it works earlier) after changing into the uniform. 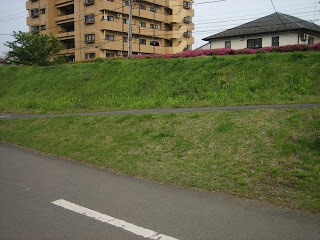 This way, I don't need to burden myself with the unnecessary weight. As for the me that got stuffed inside, I could only see nothing but pitch black that I wondered if my eyes are even open. On top of that, it feels like I'm drifting around in space and whatever illness I had disappearing almost immediately. I can't move, neither can I feel myself breathing, as though I am frozen in time. That would explain why the frozen food remains just as cold when I took it out some days ago. Well, I do have my mobile with me, so once I'm out, I would check if the clock would be out of sync. It follows the time I see everywhere the last I checked. Students involved with the event have to reach the school before opening to the public to do some last-minute preparations. As the reporting venue is quite deep inside the campus, I should be going now. Oh yes, I should have the violin case on my back too! Saw you following me in twitter so I jump in to see your blog. I hope you will get well soon as for myself I have a cold recently but it's getting better already. You must be good with your music. 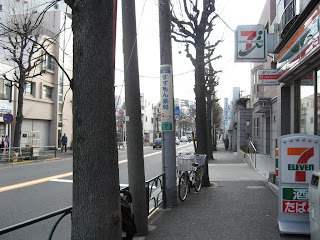 You are living in Japan right?